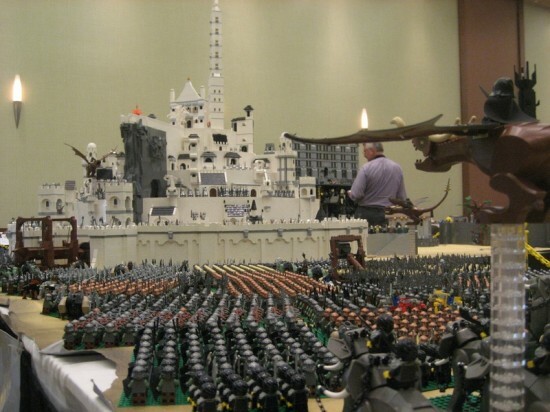 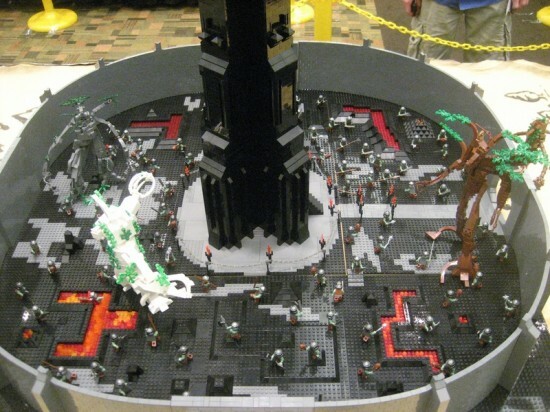 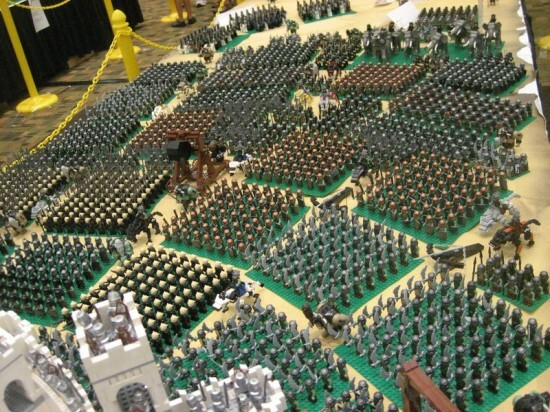 A group of LEGO and The Lord of the Rings fans have managed to create an awe-inspiring LEGO version of Tolkien’s Middle-Earth, spanning over 200 square feet. 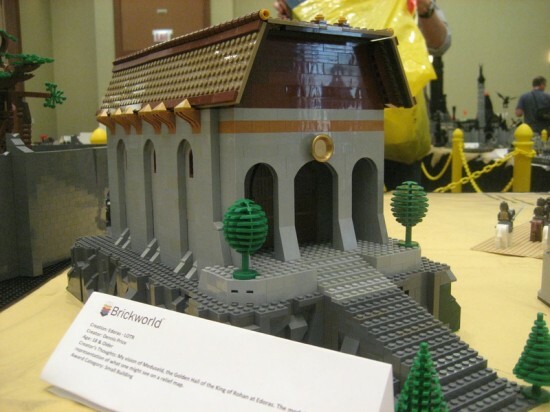 The idea for this amazing project was born at BrickWorld 2010, where Chris Phipson and Mark Kelso started talking about a collaboration. 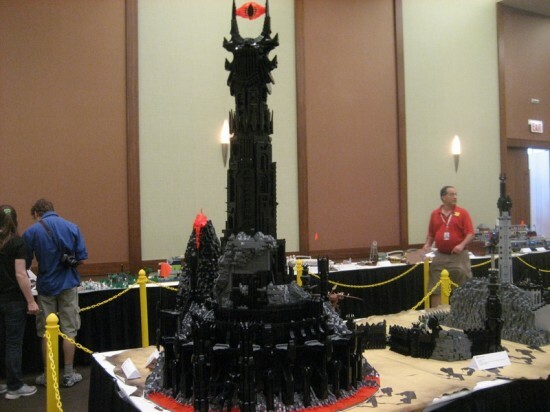 After going through some ideas, and concepts, Chris said “Hey, I got it… let’s do Lord of the Rings.” Obviously, Mark’s reply was along the lines of “You mean like… a few of us build Minas Tirith or Barad Dur?” But his LEGO loving friend had something much bigger in mind – he wanted to recreate ALL of Middle-Earth using LEGO. 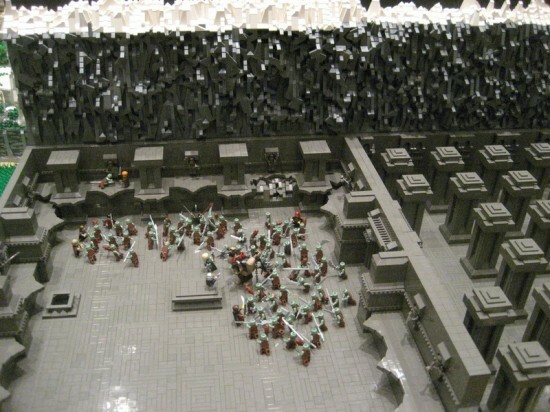 When they first heard Chris’ monumental idea, most of the people involved in the project thought he was crazy, but after a bit of probing, the plan was put into action. 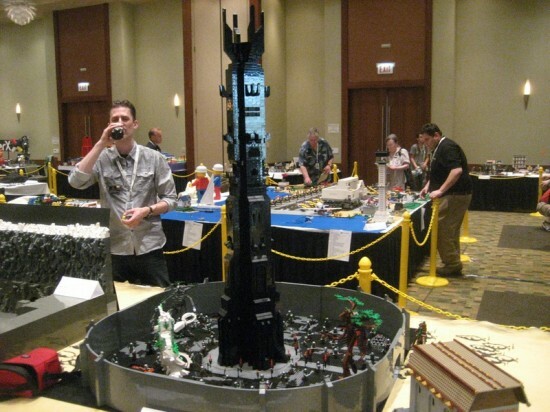 As you can expect in a project of this magnitude, things didn’t exactly go smoothly from start to finish, but what’s important is many members of the LEGO building community helped out as much as they could. 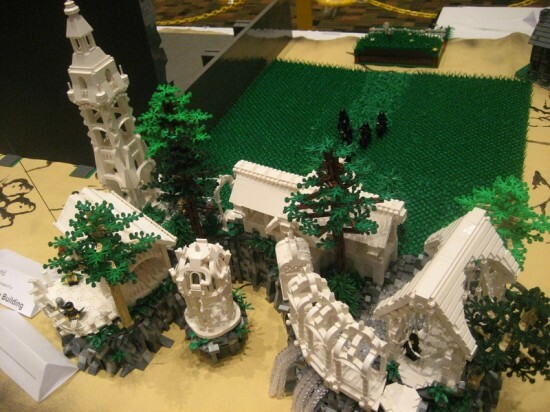 And, after a whole year of planning and building, the LEGO model of Middle-Earth was finally completed and showcased at BrickWorld 2011. 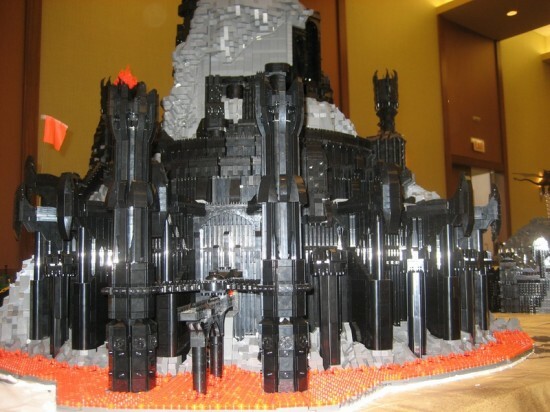 The awe-inspiring achievement features all of the major landmarks of Tolkien’s universe, including LEGO versions of Minas Tirith, Rivendell, The Mines of Moria, Isengard, Mount Doom and the Tower of Barad Dur. 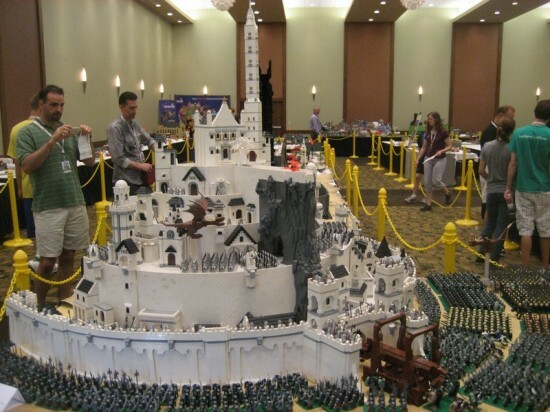 While I have no idea how many bricks were used to create LEGO Middle Earth, it spanned over and area of 200 square feet. 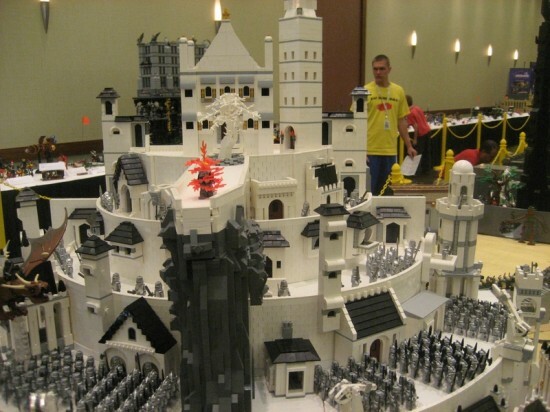 Check out some photos of the project, below, and remember to pick up your jaw off the floor, when you’re done.